Former television presenter John Leslie has been charged with sexually assaulting a woman in an Edinburgh nightclub. The 52-year-old former Wheel of Fortune and Blue Peter star is alleged to have put his hand up the woman's skirt. 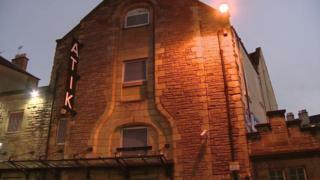 The 26-year-old woman was on a hen night when the alleged incident took place at Atik in the city's Tollcross area. It is said to have occurred at an event to mark the club's re-opening in June. A Police Scotland spokesman said: "Police in Edinburgh have charged a 52-year-old man following a report that a 26-year-old woman was the victim of a sexual assault at a nightclub in the Tollcross area on Sunday 25 June." A spokesman for the Crown Office and Procurator Fiscal Service said: "The Procurator Fiscal has received a report concerning a 52-year-old male, in connection with an alleged incident in Edinburgh on 25 June 2017. "The report is currently under consideration by the Procurator Fiscal."